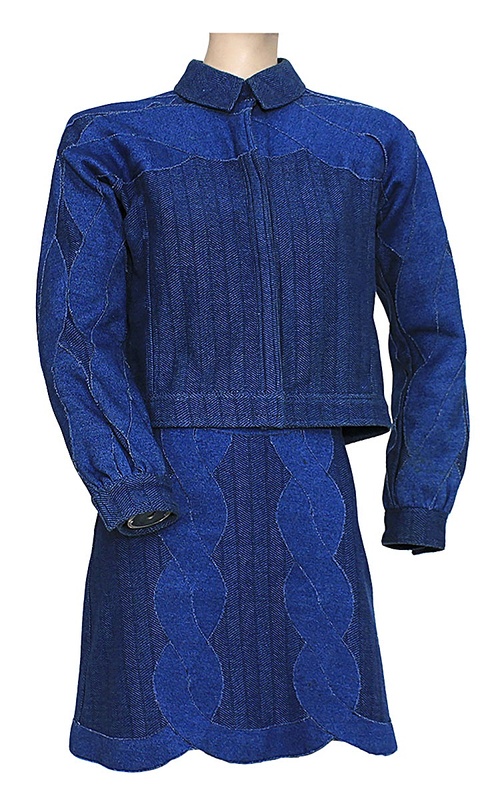 Lady Gaga wore this custom blue cotton denim style skirt and shirt jacket in February, 2014 while attending a Britney Spears concert at Planet Hollywood, Las Vegas and visiting with Britney backstage. Very good condition. Comes with a letter of authenticity from the designer, a photo of Lady Gaga wearing the outfit, and a Gotta Have Rock & Roll™ Certificate of Authenticity.